Kindred Healthcare offshoot Lacuna Health acquires American Chronic Care, which provides chronic care management technology and services to ACOs, FQHCs, and physician groups. Lacuna was launched one year ago to offer care management services to practices, ACOs, hospitals, and post-acute providers. Digital pregnancy management company Babyscripts raises $6 million in a funding round led by Philips. The company hopes to expand its remote monitoring and patient engagement technologies to accommodate mothers after birth. 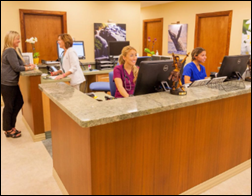 Rockford Radiology Associates (IL) selects RCM software and services from Zotec Partners. McFarland Clinic will implement patient engagement software from Relatient across its 25 clinics in Iowa. 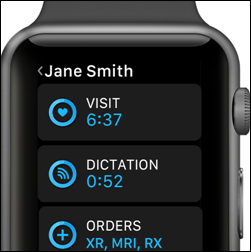 Health Here announces GA of Clinic Q, a patient intake and payments app that also features Apple Health record integration. 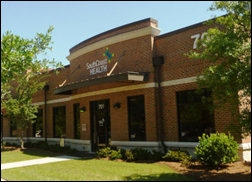 In Georgia, SouthCoast Health signs on with practice management company Privia Medical Group. Iora Health names Tyler Jung, MD (Molina Healthcare) CMO. Q2i adds telemedicine capabilities to its patient app and care team portal for the medication-assisted treatment of opioid use disorder. 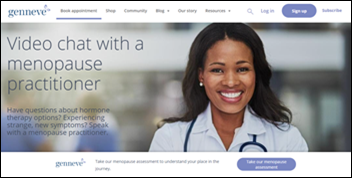 First announced last fall, Genneve begins offering virtual consults for menopausal women in California, Georgia, New Jersey, and Washington. It plans to expand its telemedicine services to all 50 states within the next year. Vatica Health acquires CareSync’s care coordination and chronic care management technology. Vatica, which bills itself as a health IT and services company for value-based care, made a $1 million bid to acquire the company’s assets four months after it abruptly closed its doors. Thanks to these companies for recently supporting HIStalk Practice. 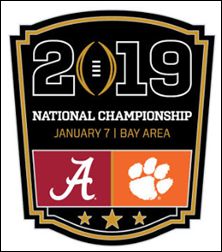 Click a link for more information. In Oregon, addiction treatment and recovery services provider OnTrack Rogue Valley selects EnSoftek’s DrCloudEHR. 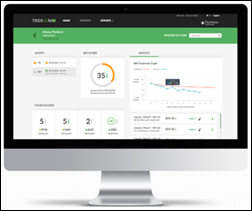 ClinicTracker adds Carequality-powered HIE integration capabilities to its EHR for behavioral health. Modernizing Medicine adds patient communication tools from Relatient to its EHR and practice management software. Health IT vendor DAS Health acquires Altex Business Solutions, an EHR and practice management company focused on small practices. It is the Tampa, FL-based company’s sixth acquisition in three years. In Canada, WELL Health Technologies acquires open-source EHR vendor NerdEMR and Butterfly Medical, which offers NerdEMR support services, for $2.5 million. Grand Rounds names Ami Parekh, MD (University of California at San Francisco) CMO. Medici acquires virtual visit competitor Chiron Health (the telemedicine partner of choice for five EHR vendors) for an undisclosed amount. Medici, which has raised $47 million over the last two years, acquired provider-to-provider consult company DocbookMD several months ago. In an effort to expand the scope of its care, Rancho Neurology and Sleep Medicine (CA) launches a sleep apnea screening program using telemedicine technology from OnDemand Visit. 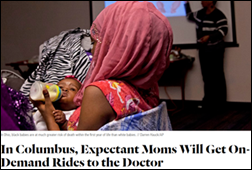 I know Mr. H gives ride-sharing health IT stories short shrift, but I think this one’s worth paying attention to: Ohio State University plans to launch a pilot program that will provide expectant mothers on Medicaid with app-based rides to medical appointments, grocery stores, and pharmacies. Patients from eight neighborhoods – those with the highest infant mortality rates – will be eligible to participate. The program will be funded with money from the City of Columbus’ $50 million Smart City Challenge prize. 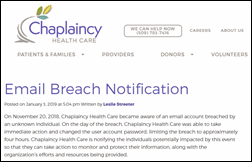 Chaplaincy Health Care notifies 1,000 hospice and behavioral health patients of a privacy breach resulting from an email phishing scheme that compromised some PHI. An astute car salesman alerts authorities after a man claiming to be a Texas doctor walks in to the dealership and attempts to buy a $73,000 car. Sensing something fishy, the salesman called the doctor’s practice in an effort to confirm his identity. Proving that not all car sales reps are out to take advantage, the salesman contacted police after receiving a photo of the doctor, which didn’t match that of the identity thief’s. 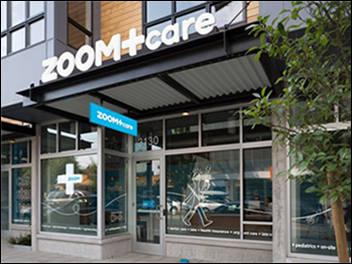 Vancouver, WA-based PeaceHealth acquires Portland, OR-based urgent care chain Zoom Care for an undisclosed sum. Zoom opened in 2006 and grew to 425 employees and 37 clinics in Oregon and Washington, with a heavy emphasis on digital health offerings. Zoom management may be breathing a sigh of relief now that the deal is done, given its last several rocky years: Zoom’s failed attempt at launching a health plan in 2014 brought pressure from state regulators, who launched several investigations into its financials last year. 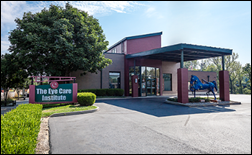 One of the healthcare company’s major investors, Endeavour Capital, also called the veracity of its financial statements into question in 2017, though that lawsuit was resolved and Endeavour ended up investing another $24 million. 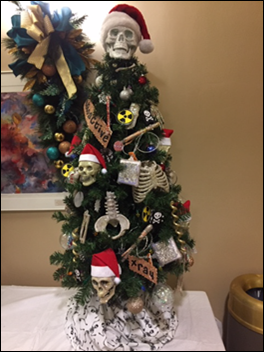 The local hospital’s festive tree display caught my eye, especially those decorated by the radiology staff and nursing. 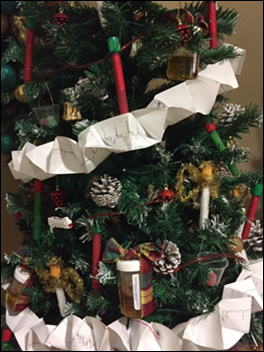 Urine and blood samples hanging from a tree wrapped in a paper-based (!) EKG just screams Christmas, no? Given that the holidays are almost upon us, I’ll wish you all well until HIStalk Practice resumes publishing on January 7. Patient referral, engagement, and CRM vendor ReferralMD announces GA of text and email patient communication software. ClearData names Michael Donohue (Axial Exchange) chief marketing officer and Dean Fredenburgh (AWS) chief revenue officer. Digital behavioral health assessment vendor Tridiuum secures $9.5 million in a Series B round led by Sopris Capital. The company expects to double its sales force by this time next year. EHR and practice management company CentralReach acquires Bronco Billing, a managed billing services business. It will rebrand to CR BillMax Services to better integrate with CentralReach’s offerings for applied behavior analysis providers. CentralReach acquired behavioral health analytics vendor Chartlytics earlier this year. 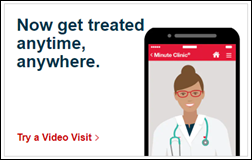 CVS Health’s MinuteClinic rolls out Teladoc-powered video visits in Wyoming. The service is now available in 18 states. Birmingham, AL-based VirtualCare raises seed funding from the Alabama Futures Fund. The startup offers membership-based virtual and in-office primary care to consumers and employers. 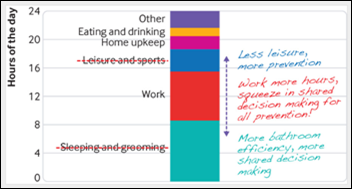 More evidence of physician dissatisfaction with health IT: A report from Geneia finds that 86 percent of surveyed physicians believe data-reporting demands have reduced their job satisfaction, though those that use analytics for population health purposes are a bit more optimistic about the ability of those tools to improve (and be reimbursed for) care. DaVita agrees to sell its medical group to UnitedHealth for $4.34 billion – $500 million less than initially settled on. The drop in price is the result of “underlying business performance,” according to an SEC filing, and a bid to win regulatory approval for a deal that was first announced in 2017. The acquisition, expected to close early next year, will put DaVita’s assets under UnitedHealth’s Optum division. NextGen Healthcare announces GA of cloud-based HIE capabilities. Mental healthcare company Emergence Health Network (TX) will work with behavioral health IT vendor Valera Health to develop a virtual healthcare program that will include video sessions, group chats, and analytics. K Health raises $25 million a Series B funding round, which brings its total to over $44 million since getting off the ground in 2016. The New York City-based startup has developed an AI-powered diagnostic app for consumers that also connects them (and their data) with certain providers in the city. Oncology practice management company OneOncology names Bill Frist, MD to its Board of Directors. 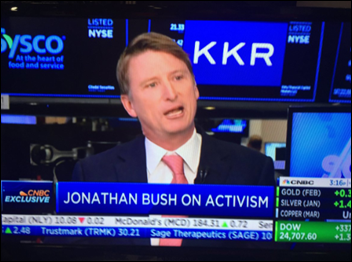 The former Senate Majority Leader serves on several healthcare boards including Teladoc and Select Medical. Geoffrey Clapp (Peak State Ventures) joins Cricket Health as chief product officer. Patient relationship management company Navigating Cancer hires Bill Bunker (Kernel Labs) as CEO. Bunker replaces co-founder Gena Cook, who will remain with the company as president. 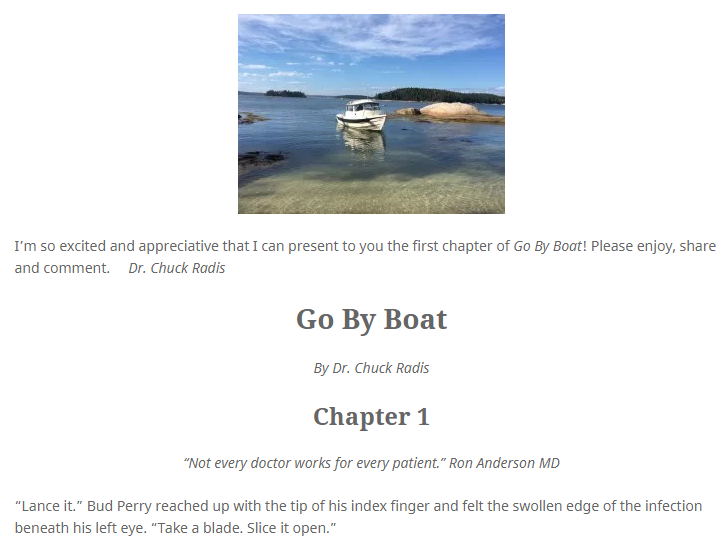 In Hawaii, Doctors on Call Maui rolls out CareCloud’s EHR, practice management, and RCM software at its two locations. Kindbody expands in California with two pop-up clinics in Los Angeles. The women’s healthcare company, which also offers virtual consults, has offered similar services in Palo Alto, San Francisco, and New York. It plans to add brick-and-mortar facilities on both coasts in 2019. In Nebraska, Prairie Fields Family Medicine notifies over 6,000 patients of an early October data breach that occurred when an unencrypted spreadsheet containing patient details was sent to the wrong email address. It’s not often earthquakes shake up my part of the world, and so I didn’t know what to make of the rumblings that shook my house early this morning. 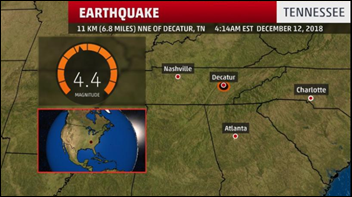 I awoke to reports of a 4.4-magnitude quake in Eastern Tennessee, and was relieved to learn there were no injuries or damage as a result. I did wonder if the earthquake had triggered the fall-detection feature on anyone’s Apple Watch …. Providers like sports cardiologist Jeffrey Lin, MD are already seeing patients walk in with questions related to their Apple Watch readings. Another cardiologist calls it a “daily occurrence,” while a venture capitalist points out that it’s really all about happy customers reassuring themselves that they’re fine.